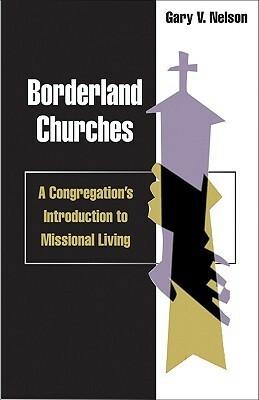 Unique in that it is probably the only book on missional church from a Canadian perspective. With all the "how to's" from authors in major American urban centres, it is good to see a book which also gives insight into the Canadian cultural context. While some of what other missional leaders write may connect in Canada, this is a unique context in which to do ministry, and many missional church guides don't translate well outside of the context of the author. On the flipside, Nelson is also able to present something which I believe can be translated almost in its entirety to a whole variety contexts. Nelson's experience in international mission allows him to speak into contexts beyond Canada, and give something with depth and power to impact almost any congregational setting. This book gave a very good challenge to the church of today to get engaged in missional living. Coming from a Canadian perspective made it even more real for me. Great book on mission, specifically in the Canadian context. Gary V. Nelson - Gary Nelson is an urban missiologist and President and Vice Chancellor of Tyndale University College and Seminary in Toronto, Ontario, Canada.Prior to 2010 Nelson served as General Secretary of Canadian Baptist Ministries (CBM). Since 2004 Nelson has been one of the Vice-Presidents of the Baptist World Alliance, of which his denomination is a member-body.